Top 10 best Android Apps of July 2017 that you must try! With about 3,000,000 apps in the Google Play Store, a generic android user can get confused about which one to install that would help him enhance the smartphone and tablet experience. Lot of apps are added in the Play Store everyday, and some of those newbies do catch our attention through their unique feature to offer. So the list that we’ve brought you today, contains such apps that are worth giving a try. So let the list begin! There are times you find some interesting videos or music that you want to download but can’t, simply because the website doesn’t allows to. 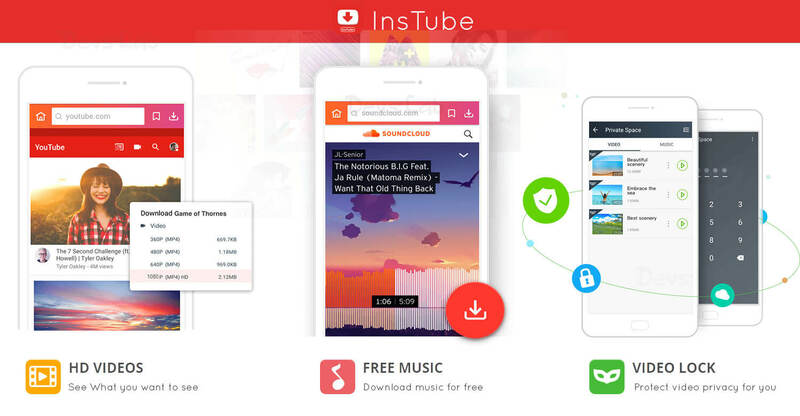 But not anymore, InsTube is an Android app which allows you to download videos and music files from most of the sites like Facebook, YouTube, Instagram, Twitter, Soundcloud and lot more. While there are many such Apps on playstore, why would you download this? Because, InsTube looks neat, performs well without any crashes and supports all social networking websites. This app is not available on PlayStore, but you can download it from below link. 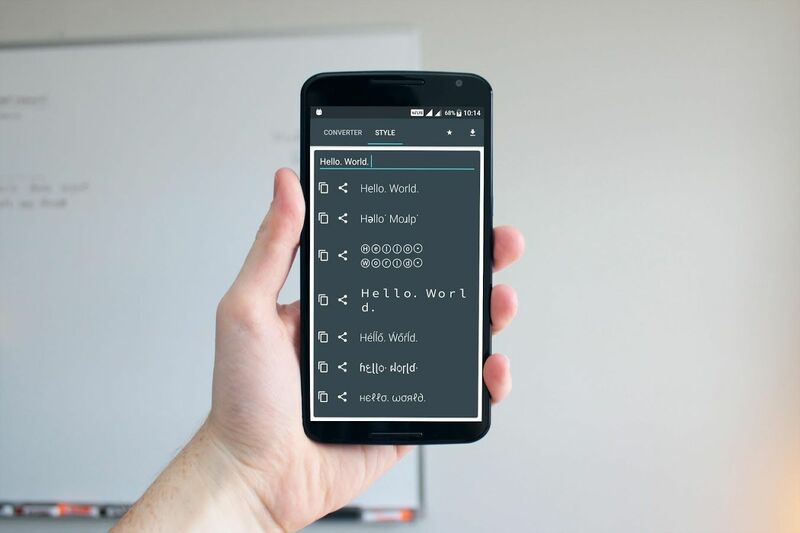 Up first in the list we have Text Converter. It’s a fun app that allows you to convert the text that you’re about to send somebody into a completely different form. The best part about this is that all the forms can be copied and pasted and they will appear as it is in the application. You can put your words into patterns, translate them into entirely different looking forms or even flip them upside down! Next up we have Spyzie. Now this app is tailored for the parents as it completely allows you to monitor all the activities in another smartphone which can be an Android device or an iOS device, which doesn’t really matter. What truly amazes is the extent to which you can monitor the activity on the other device. Everything from the videos that your kids watch, to their browser history, to their incoming and outgoing calls and even the games that they play- all can be extensively checked. But it’s got a catch, a lot of app functionalities are not free and are paid on a monthly basis. Click on the link above (redirects to the website, where you’d have to download the Monitoring App and the Control Panel App) and you’ll find a whole how-to-do-it, along with a free trial run. Well, the kids might not like this one I think. 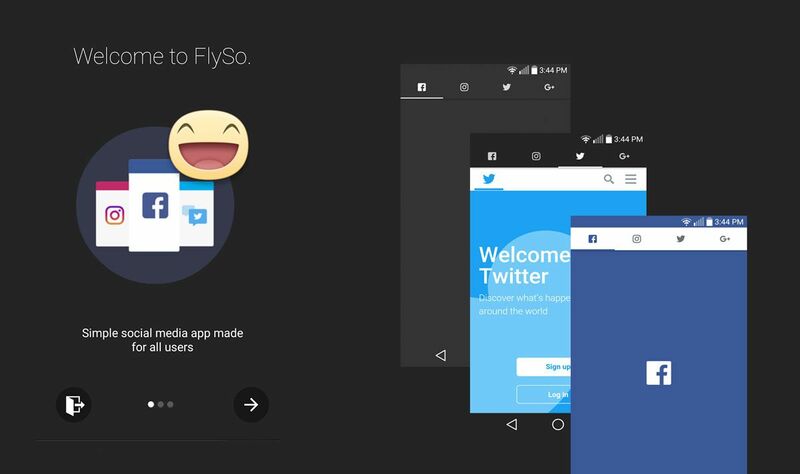 Next up we have Flyso, the one application that unifies your Twitter, Instagram and Facebook. So without switching between applications experiencing more loading times, you can automatically log on and flick between three different feeds pretty conveniently. You will realize how useful the app is once you are in it. Bye-bye solo apps maybe? The next stop is Temp eMail. 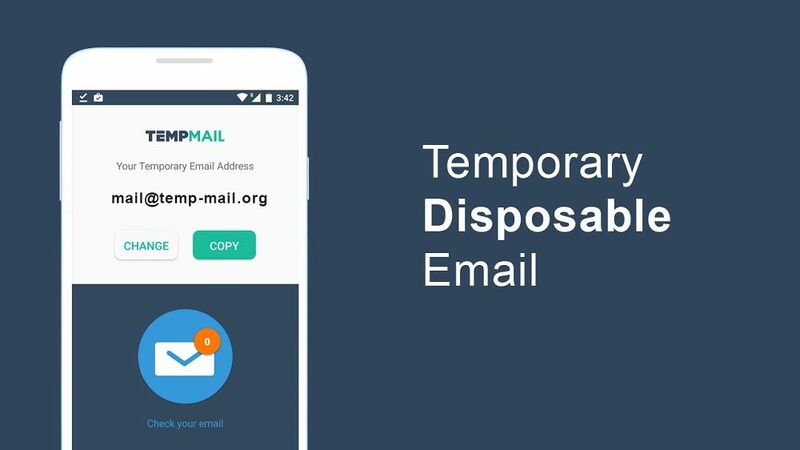 This app is really handy if you want to create a new account somewhere but don’t want to sign up using your own email address, because then it would fill your inbox with spam mails. It works by generating a random email address, which can be customized according to your liking and be made whatever you want. Now when you sign up on a website, you do that using this email address; and as soon as you do that, it will send an email to this app’s inbox. Then you can register the account by clicking on the confirmation link sent in the email and you are good to go. And then you can just repeat the whole thing by using another email or modifying your current one. Let me tell you, I like this app already. 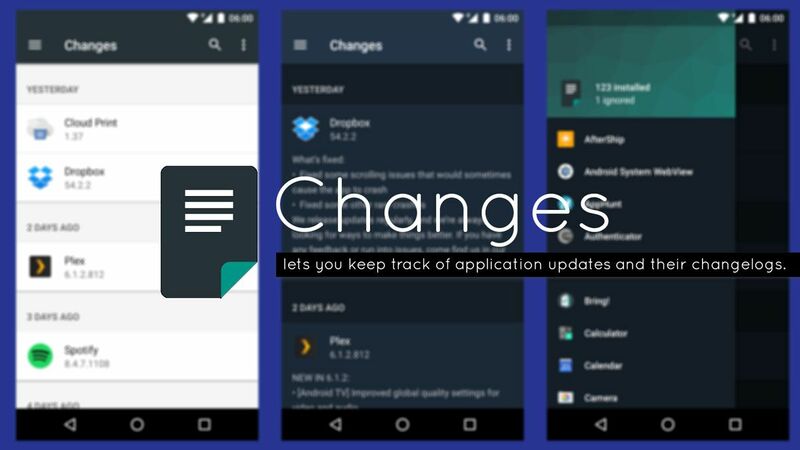 Changes is an app which is currently in the beta phase and lets you keep track of the application updates and their changelogs. So you would get to know when an app updates and view the changes that come with the update in the form of a changelog. You can also go ahead and view the changelog by date, switch between three different log view modes, check when a particular app on your device was last updated. I like this application because I like to see what new features are thrown in with an app update; so instead of going to the play store and then viewing the changelogs, I can access everything from this app. 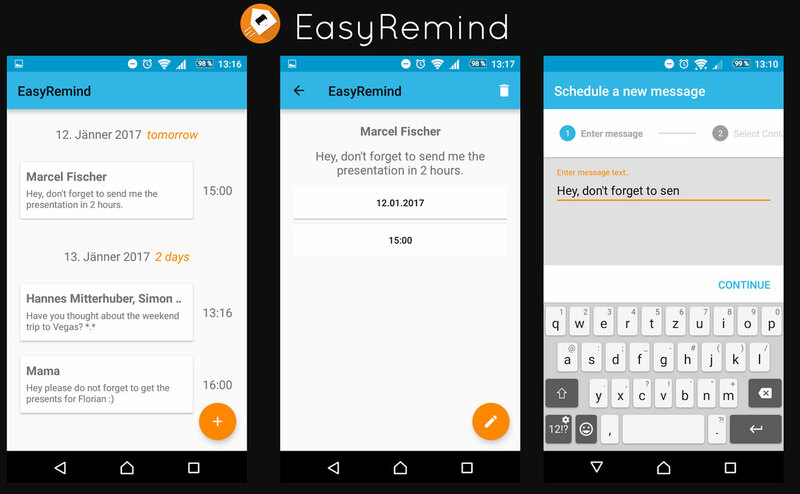 I think Easy Remind is made for people like me. In simple words, the app lets you schedule any message you want to as many people as you want and the message is sent on time, always. You can use this app to schedule a “Happy Birthday” message to friends, not worrying anymore if you forget their birthdays. All you have to do is schedule the time for the message and it will be sent as scheduled saving you from the embarrassment of sending belated birthday messages. Did I just help you to become a best friend? 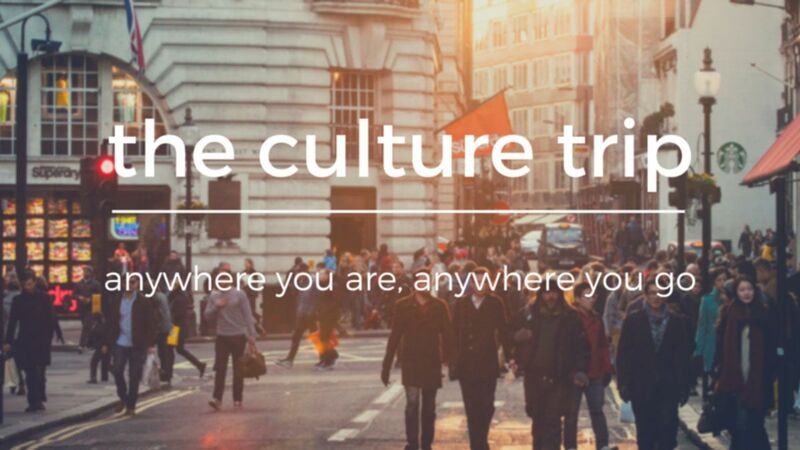 Whether you’re an avid traveler or not, Culture Trip is one to download if you want to find hidden gems in the world. The app lets you explore the best of local culture in 300+ locations around the world. 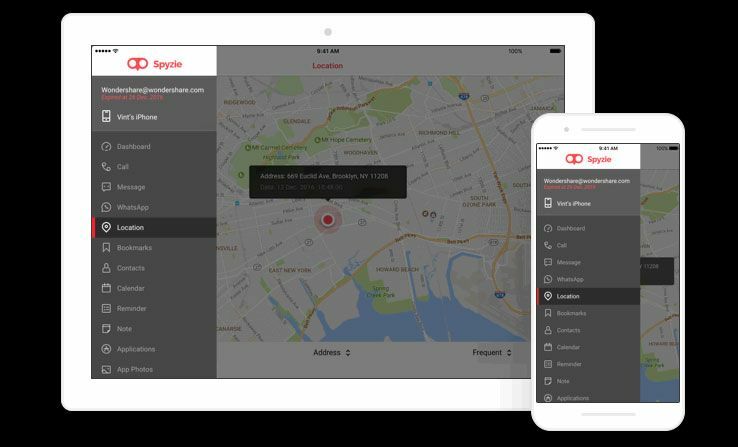 Using the device’s location, the app gives you a list of significant locations, restaurants, bars and hotspots that you might have not even heard of. Article, video and photos bring a location to life, so with a quick search you’ll know everything about that place you wanted to visit or are planning to visit. Completely free and regularly updated, this world of quality information is a must download for all the wannabe travelers. Just make sure to download this app before you pack your bags. 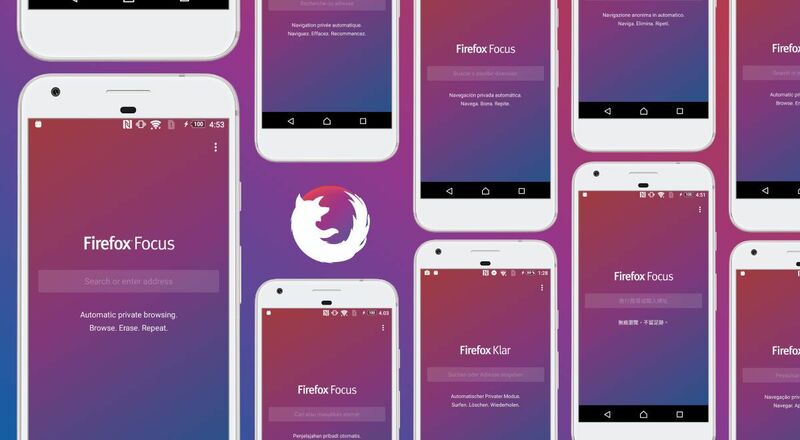 I personally find Firefox Focus to be the best privacy-focused browser app in the store. It’s got a simple purplish search page, that feels very minimalistic and appealing. As soon as you open the app, you wouldn’t find any fancy or clumsy dashboard but a simple search bar, that looks aesthetically very pleasing. The browser automatically blocks a wide range of online trackers — from the moment you launch it to the second you leave it. You can easily erase your history, passwords and cookies, and also say bye to unwanted ads. If you’re someone who is constantly worried about leaving an online trail as you browse, then this is the app to look forward to. To be honest enough, Iv actually stopped using Chrome and made Focus my default browser. 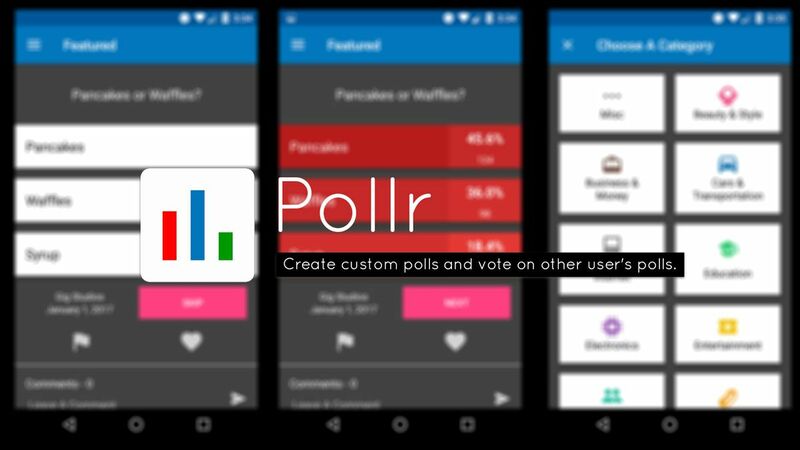 Pollr gives your direct access to user created opinion polls in a variety of topics, ranging from education to electronics, movies to music, There are multiple choice polls to answer about every subject. It is an interesting concept, all the poll answers are totally anonymous. So even controversial answers are 100% secret. You can even create your own poll, have a view on your polling history, or check where your votes stand. With a simple interface and multiple choice polls to answer, I think this app is in for some major upvotes. 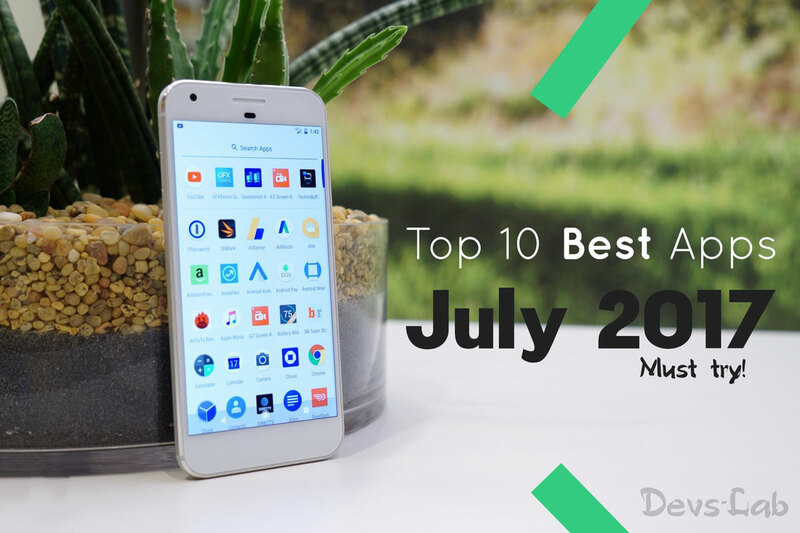 This concludes the list of the Top 10 Best New Android Apps of July 2017. All these apps are very good in their own way. Please do try out these apps and let us know your favourite in the comments below. Also, if you think any other app deserves to be in this list, please let us know by commenting below.